We understand what’s important when searching for a new role - honesty, discretion and results. At SWGi, we strive to make the “candidate experience” open, constructive and efficient. 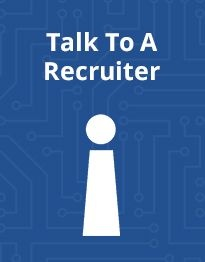 Our unique “5-step approach” keeps you informed throughout the whole hiring cycle so that you can feel confident that everything is being done to maximize your chances of receiving an offer. The process begins with our initial contact. Whether you are referred to us or we source your resume from a jobsite, we begin with an honest discussion of your goals and expectations. We give you honest feedback relative to the current employment market and we’ll help you focus your goals and expectations accordingly. We forward your resume to our client(s) ONLY when you give your approval. This means you are only presented for the roles that interest you. This also means we do our part to ensure your resume is not presented to the same client twice. Prior to an interview with one of our Clients, we help you prepare an interview strategy that conveys your true potential and why you should be selected. We stay connected to you throughout each stage of the hiring process, right up to offer negotiation, acceptance and resignation. If you are considering working as a contractor, there are a number of decisions you need to make about incorporation. The link below will direct you to a Canadian Government website that describes the implications of incorporating. SWGi – The Key to Good Connections.